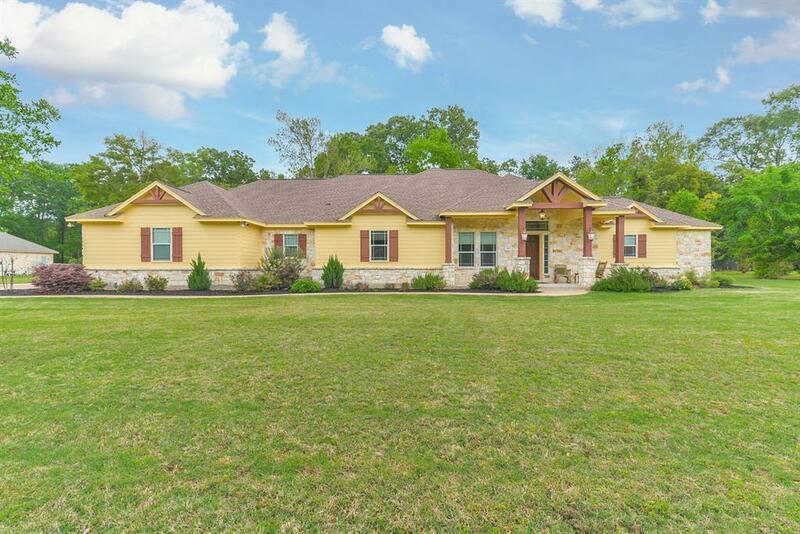 One of a kind custom over-sized 1 story home on almost 1.5 Acres with an incredible 4 car garage w/ additional storage space. 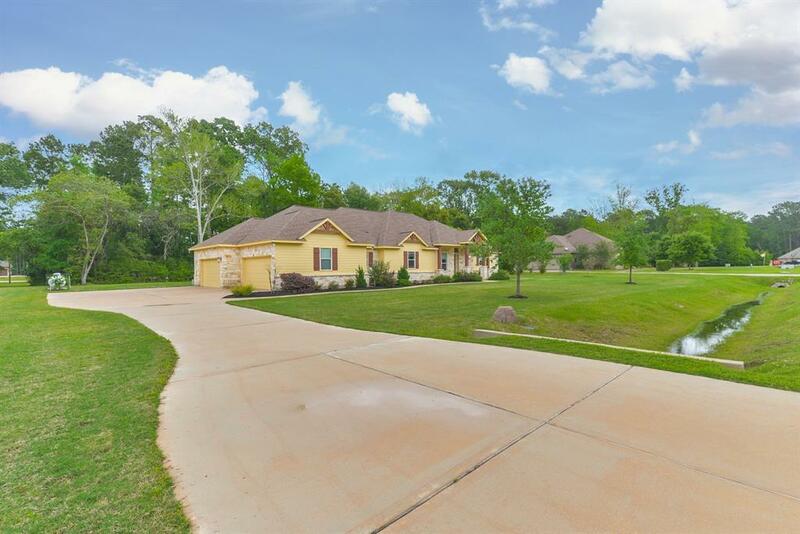 Truly a relaxing & beautiful lot, plenty of trees to look out onto from your front & back covered porches. 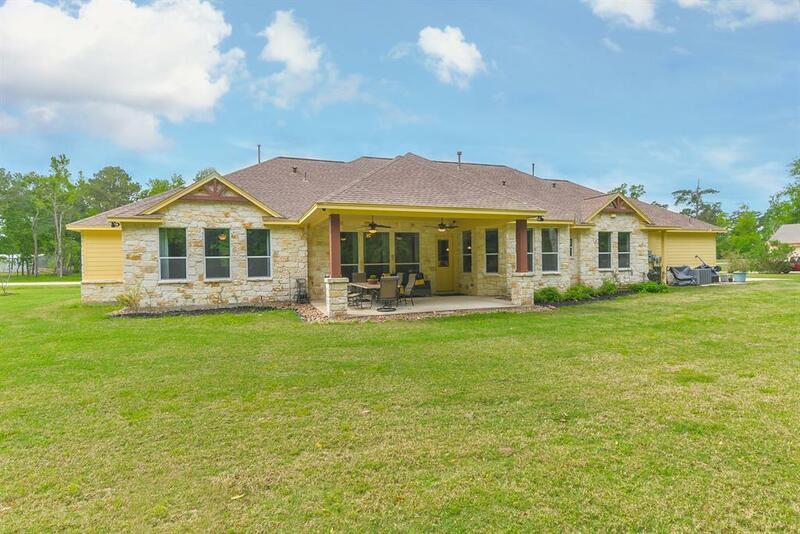 This expansive one story has has large rooms, immaculate paint, beautiful flooring, high ceilings, beautiful window treatments, lush landscaping , unbelievable amount of storage. Huge pantry & utility room that includes room for a full fridge and includes a full farm sink... the kitchen, pantry and utility room make this any woman's dream come true. Large open amazing kitchen with raised dishwasher, excellent appliances tons of cabinet space, and beautiful cabinetry with upper cabinets that have lighting. Lets not forget the massive over-sized 4 car garage that is ample to parks cars plus your toys. 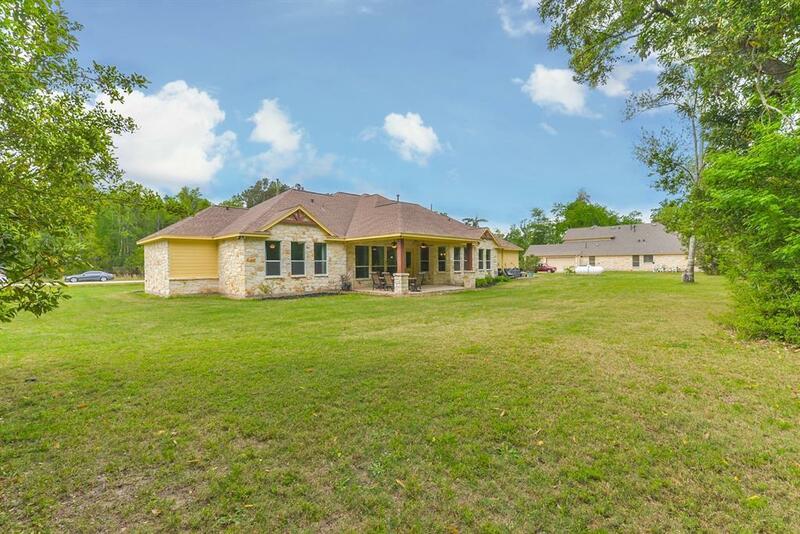 All of this located in Huffman ISD in a neighborhood that offers great amenities.